This is a great story, how did you develop the idea for The Tallenmere Series? After managing to get a novella published with Midnight Showcase (now Melange Books), I decided to shoot high and write Caliphany’s story. I sought help at Critique Circle, where I met some of the best writing mentors and critique partners ever. 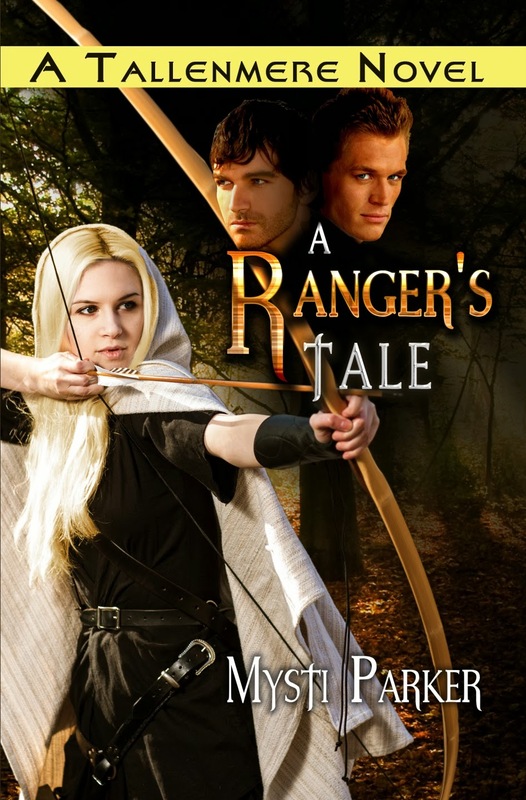 Over the course of a year, I had written my first novel A Ranger’s Tale, which Melange Books also published. The first book in this series begins with A Rangers Tale followed by Serenya's Song and Hearts in Exile. How many books do you have planned for this series? I honestly don’t have a set number of books planned. I’d like to keep writing until a natural end to the overarching plot occurs. Each book now consists of its own standalone story, starring one of the main characters from the previous books. I like it that way, because I don’t like books to end with nasty cliff-hangers myself. Instead, I like a good solid ending that leaves room for more stories to come. You have an excerpt of book four No Place Like Home listed on your site which introduces a new villain. Can you tell us about this new character? She’s new and not so new. I can tell you that. She practices almost every kind of dark magic that exists in Tallenmere, from sorcery to necromancy and everything in between. To be honest, she scares me a little. That excerpt seemed to flow out of me directly from the darkness of her soul. Coincidentally, souls are what she feasts upon, which will be the driving force of the main conflict. I love that you list playlist for your books. Will you be posting a new track list for No Place like Home ? I’m working on my first historical romance. It’s set in 1866 Lebanon, TN and tentatively called ‘A Time for Everything’. That’s all I’ll share about it now, though, until I get it closer to publication. No, unfortunately, but I’ve ALWAYS got something goin on over at my blog, Unwritten. This month, for instance, is a series called ‘Characters in Love’, featuring interviews about the love lives of characters from various authors and genres. Every month, I try to do something a little different, like writing contests or series, with reviews and random articles thrown in here and there. 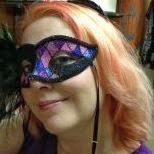 Mysti Parker (pseudonym) is a full time wife, mother, and author of the standalone Tallenmere series: A Ranger's Tale, Serenya's Song and Hearts in Exile, with more to come. This fantasy romance saga has been likened to Terry Goodkind's 'Sword of Truth' series, but is probably closer to a spicy cross between Tolkien and Mercedes Lackey. Mysti's other writings have appeared in the anthologies Hearts of Tomorrow, Christmas Lites, Christmas Lites II, and The Darwin Murders. Her flash fiction has appeared on the online magazines EveryDayFiction and Angie’s Diary. She serves as a class mentor in Writers Village University's seven week online course, F2K. Currently, she's working on her first historical romance and has two children's books in the hands of a hard-working agent. Bayou Blues: A New Orleans Mystery!